If you are not aware of the delightful novelty that is printing your digital photos, oh boy are you missing out. 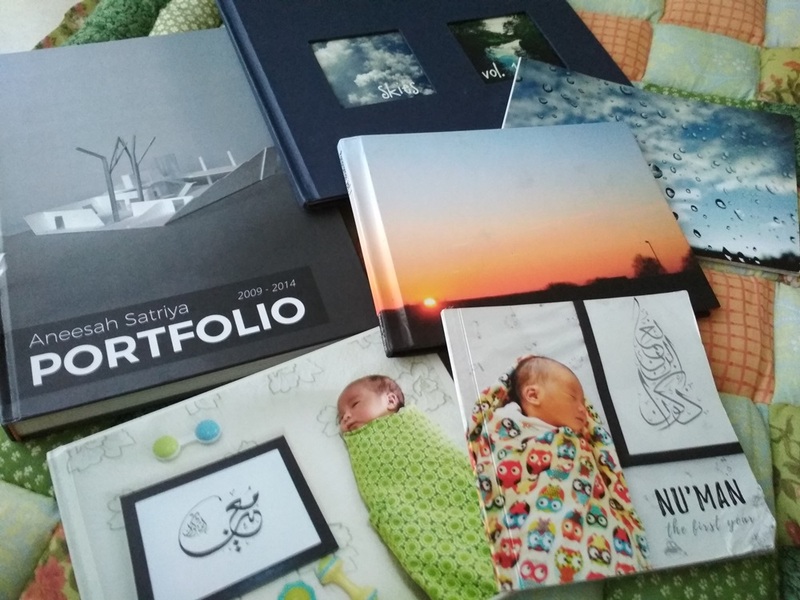 Over the years, I’ve made a total of six photobooks through various online services. Most are actually landscape / travel photos, and then there’s my architecture portfolio, and two baby books of the kids. For our random family photos, I find that loose prints, kept in albums, are easier to manage. These are my older landscape photography, they bring back memories! I’ve gathered a couple of tips, in particular for making themed photobooks such as those for baby pictures. Hope these are useful (at least for myself, the next time I need to make one of these)! I’ll do you a favour and let you know right now what the right type is: layflat. These things are like board books for kids — with thick cardboard pages that are practically impossible to crease or destroy, and — like the name suggests — lay flat when opened. Yes, they can be more pricey than the other types, and no, you don’t really get as many pages within the book because they get so thick. But I love my layflat books! See how the book lays open? Personally I also prefer matte finishes on the cover and inside pages because I find that glossy can be too reflective for comfortable viewing. Most photobook vouchers come with an expiry date, after which you’re only allowed a grace period of one month before you need to pay again to renew its validity. So I recommend you save the deadline into your to-do item (eg. 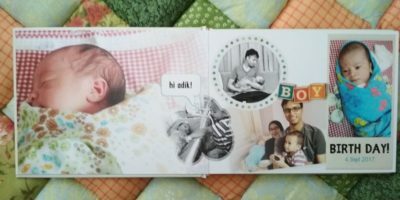 if you use Trello) and give yourself plenty of time to make this photobook. Upload photos from phone to a cloud service (I use MEGA). Do this on a regular basis so you can delete the photos from your phone. 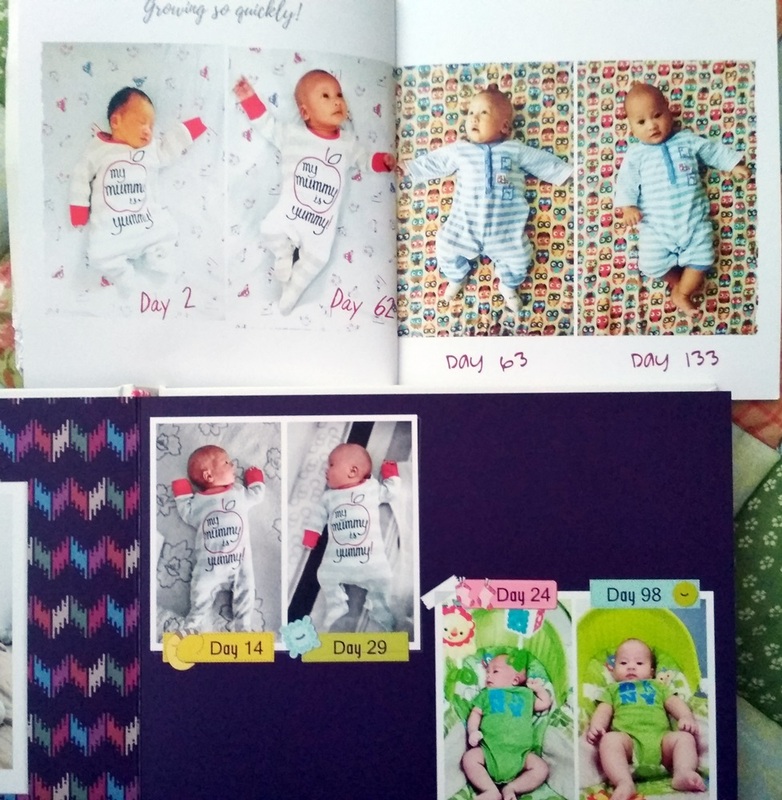 Themed pages like this are what makes photobooks fun! Use lighter patterns and colours for backgrounds. You can adjust the opacity of the background patterns if they are too bold. If you want to add “stickers” and “badges”, add it to the text titles/captions. Have some pages that are full-size photos, ie. one photo for one whole page. 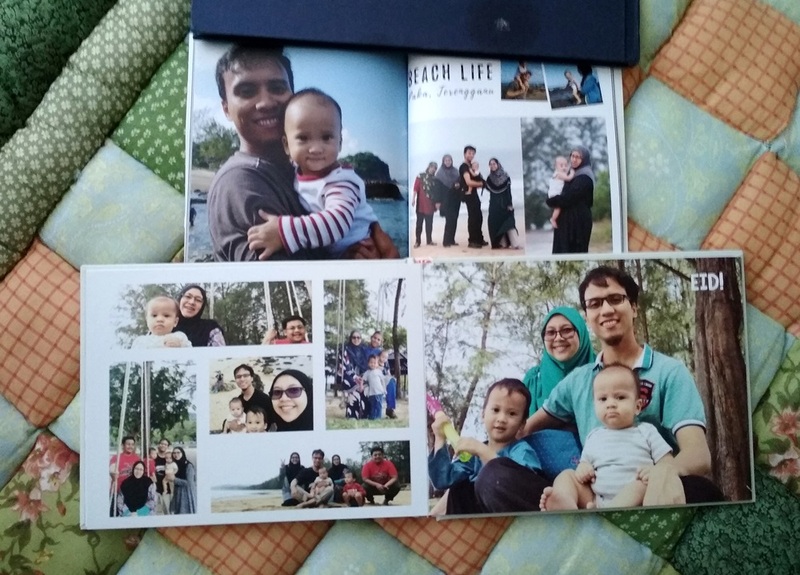 This takes advantage of the size of your photobook and looks really good in print. 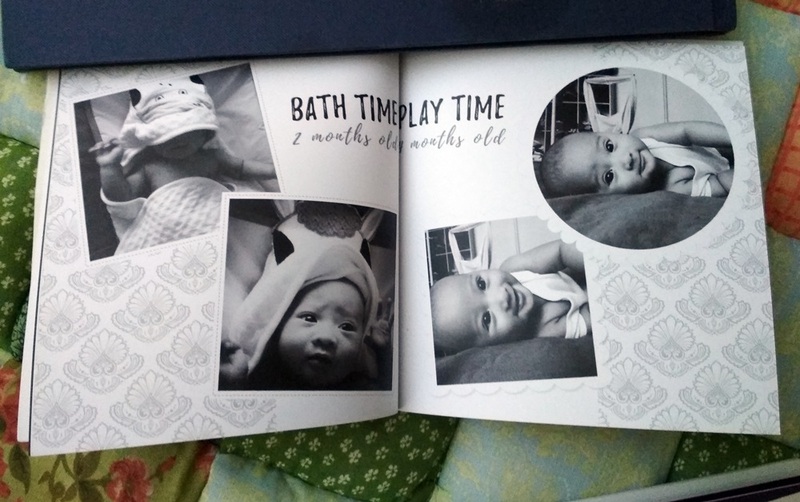 Have some photos in black & white or sepia to help balance out the values across your spread. You don’t need to use all your photos! You might end up with too-small images and/or run out of pages. 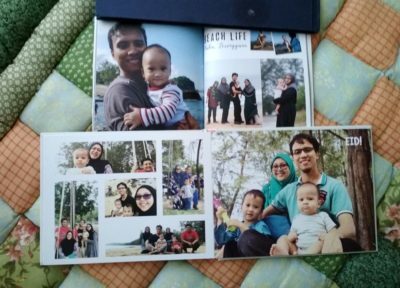 Pick the best photos and have them printed big. Monochromatic pages can look just as good! This formula of having one full image + one montage in a spread works well.